Paper Bag Racism at Safeway? The Kind of Paper Grocery Bag Safeway Offers Black People Is Not the Same as the Kind it Offers White People? 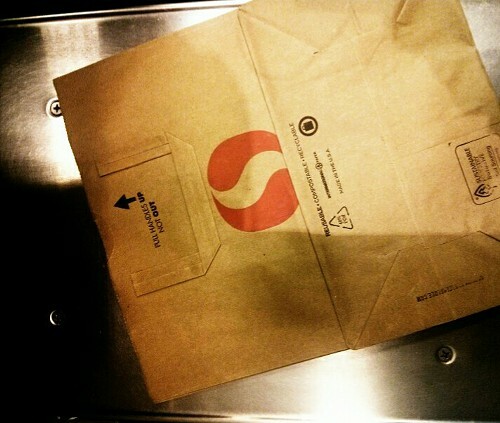 The paper bag sold to those who shop at the Safeway on Rainier and Charleston…. The former bag is in a grocery store that serves one of the most diverse neighborhoods in the US. The latter is in a neighborhood that’s almost all white. The former bag is practically useless because it has, unlike the latter, no handles. What is this about? What is going on here? Why handleless paper bags in a neighborhood that is poorer and blacker? 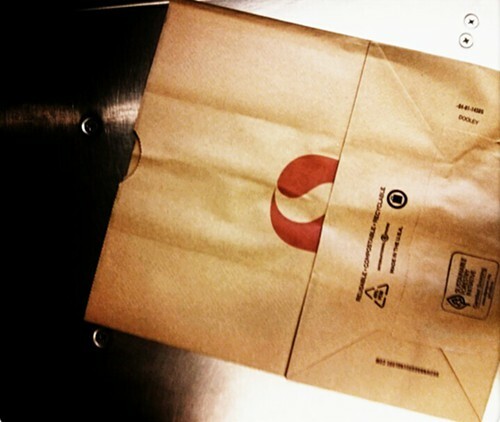 Why offer the more practical kind of paper bag in a neighborhood that is richer and whiter? No matter how you explain it, however, people will naturally look back at history, and then at reality, and just have to wonder. The only good thing about handleless paper bags is that their uselessness is so pronounced (particularly for walkers like myself) that shoppers quickly learn the habit of bringing their own bag to the store. Is it possible that, in this instance, a little bit of racism is doing some good? The paper bags designated for blacks are making South Seattle a little greener? When I asked an employee about the handleless bags at the Rainier store, I was informed that they were working through old paper bags and once done, they would change them. Safeway’s headquarters in California were called about the bag situation at the Rainier store, but yet to receive a response.